Muncaster can offer the perfect venue for your wedding as well as for private, family and group or corporate entertaining. Family events can be celebrated in the splendour of either of the two Dining Rooms. Gleaming family silver and snowy white linen (some which dates from the 1800s) grace the antique furniture and fresh flowers and views of the Eskdale fells complete the scene. For larger numbers the Great Hall can be used for fork suppers or drinks receptions and a bar can be set up here too. 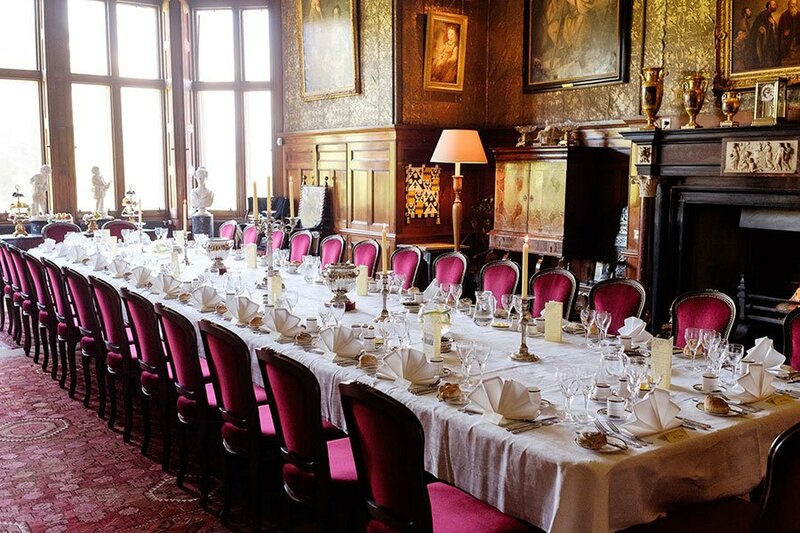 Corporate events can be given that extra edge as your guests soak up the atmosphere of the Castle which is still home to the Pennington family, one of the longest retained private family homes in the Lake District. 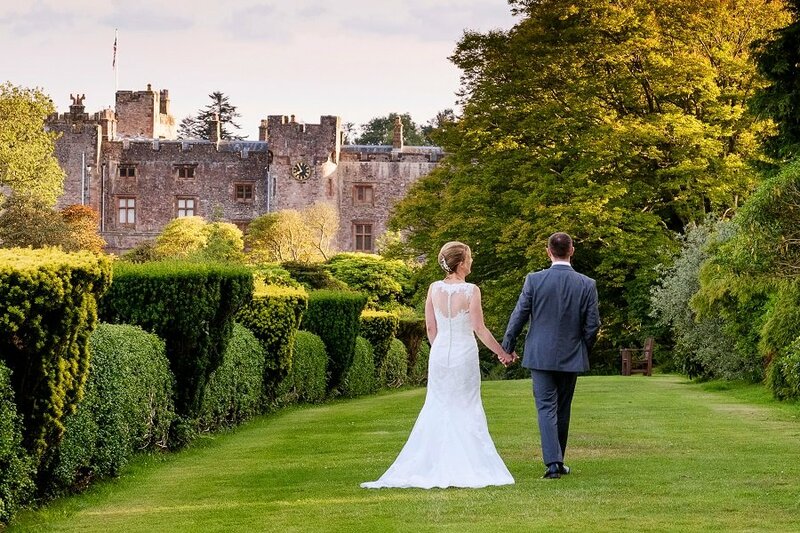 For Weddings at Muncaster, our service and standard is as unique as your occasion and we treat you like individuals. To guide you in the planning of your day, we have our own wedding co-ordinator who will be on hand from your initial enquiry to the day itself, ensuring everything goes as planned. You will soon be able to use our wedding planning software too – shared with the functions team, it helps you ensure all the details are covered. 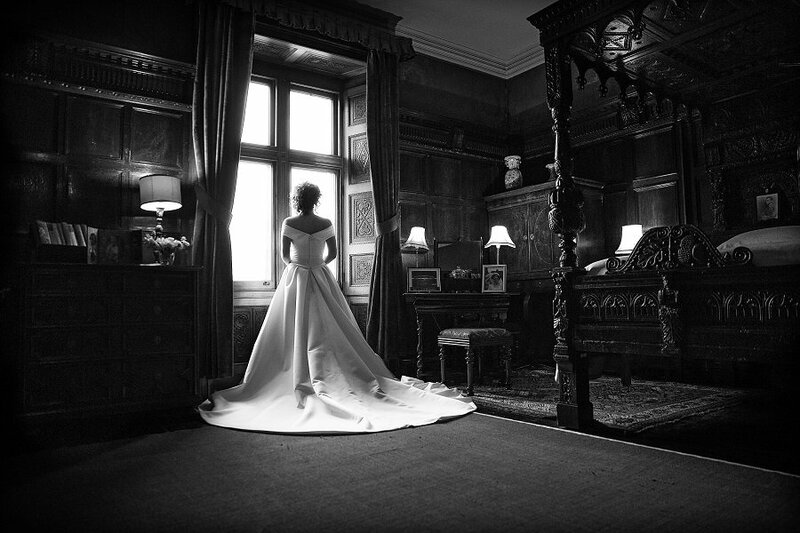 We also guarantee you the exclusive use of the rooms you choose as well as the day itself; we will not book any other weddings or events in the Castle on your wedding date once confirmed, and that’s a promise. A full choice of menus is available (using the best of the Lake District producers) as well as the choice of rooms to hold your ceremony or reception, everything you would expect to hold a prestigious and exclusive wedding in a Lake District Historic Castle; all this is available to all our brides and grooms at a single price per person (drinks excluded, a minimum charge will apply for parties of less than 35). For accommodation after an evening function, we have the 4 star Coachman’s Quarters bed and breakfast in the Castle Gardens, the 3 star Pennington Hotel a mile away in Ravenglass village with 21 rooms plus one suite at the Inn At Ravenglass a few doors along. Just a few miles up the road at Calderbridge is the 4 star Sella Park Country House Hotel which provides an additional 11 suites. If you are considering booking a private function, whether a wedding, family party or business event, we would strongly recommend a site visit to meet our dedicated function and wedding planner and discuss the options open to you. 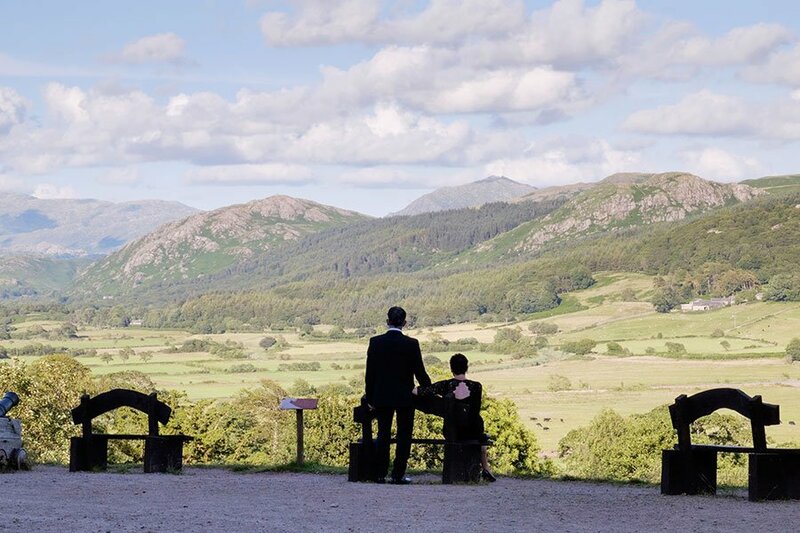 Whatever the event Muncaster offers a perfect and beautiful venue, with stunning gardens and woodland for you and your guests to enjoy. Come celebrate with us at the Gateway to Paradise. 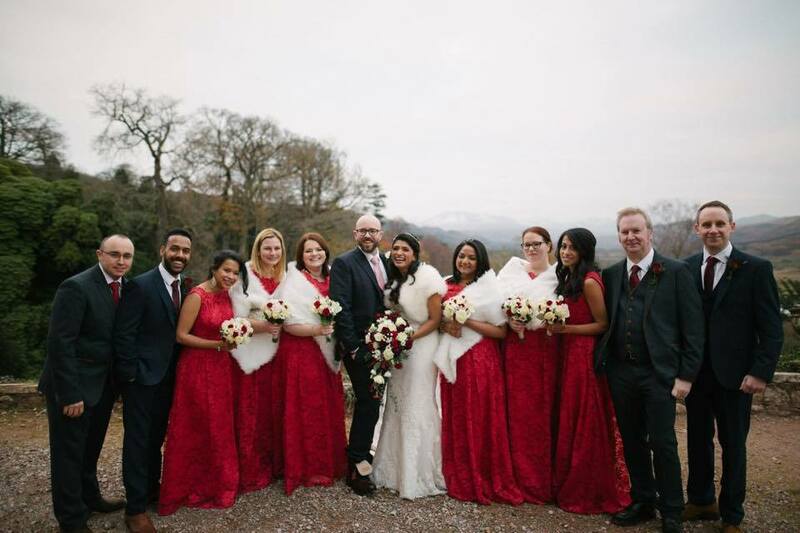 DO take a look at Simon and Swarna’s fantastic wedding video, kindly shared with us by them and Jon Bird Weddings.